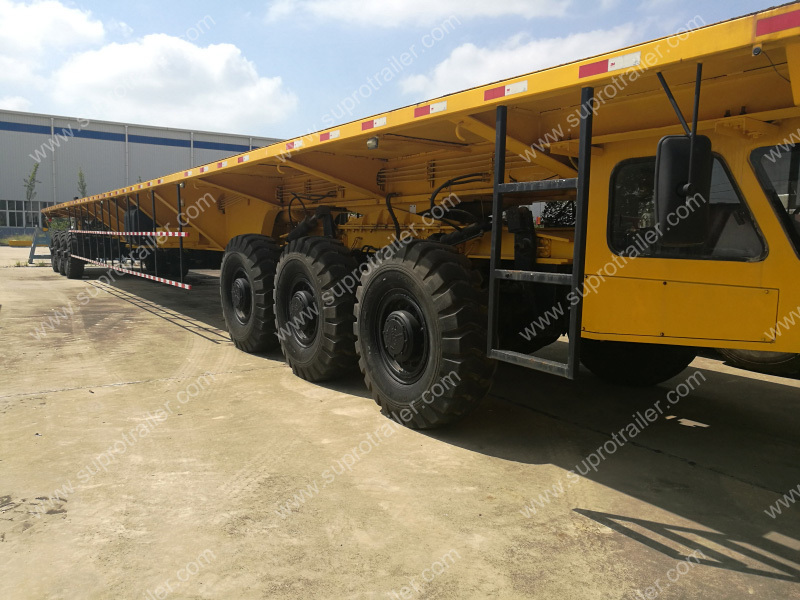 Supro Trailer produce the shipyard transporters could load 100 tons cargo to 400 tons cargo which against on special demands of user. 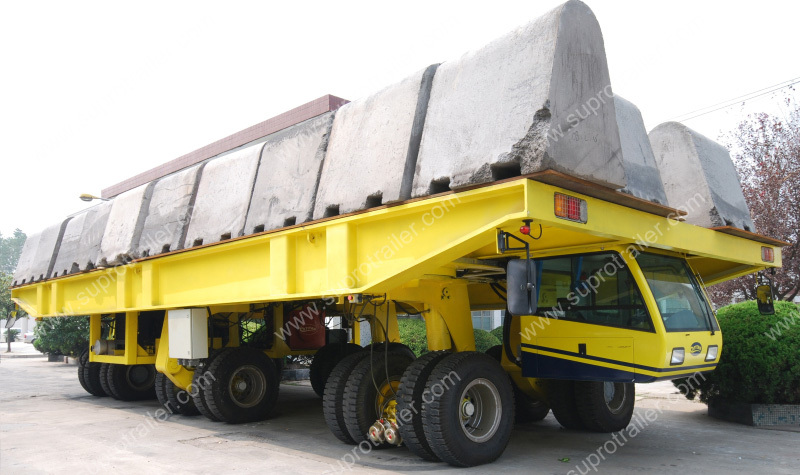 The shipyard transporter has own power unit to drag the vehicle to move forward. 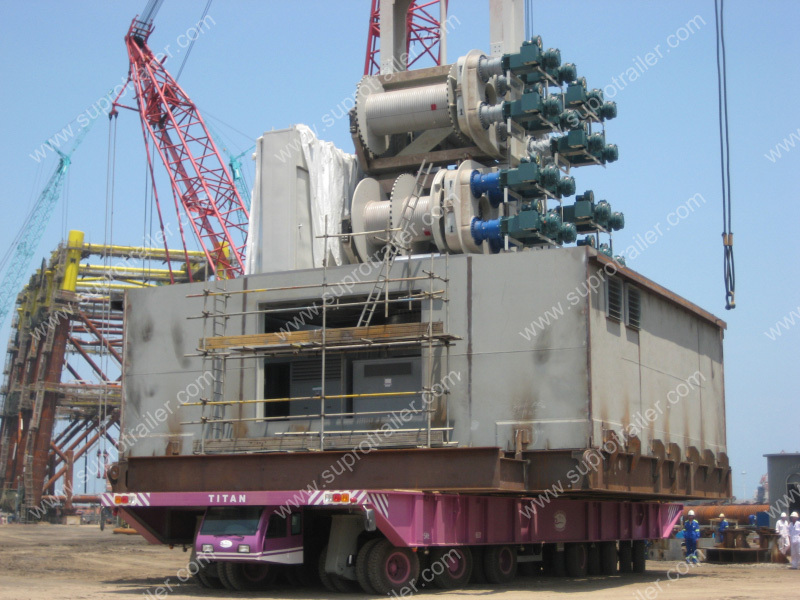 The hydraulic systems are same as "Self Propelled Modular Transporter" . The vehicles all has no truck to drag the move and steering operation, but vehicles all have own power unit. 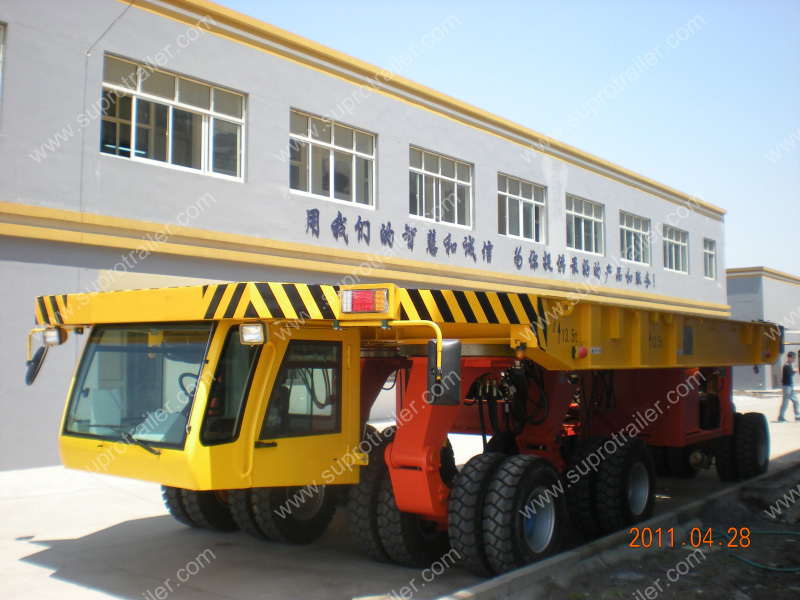 Supro shipyard transporter has a driving cab to operate steering and movement. 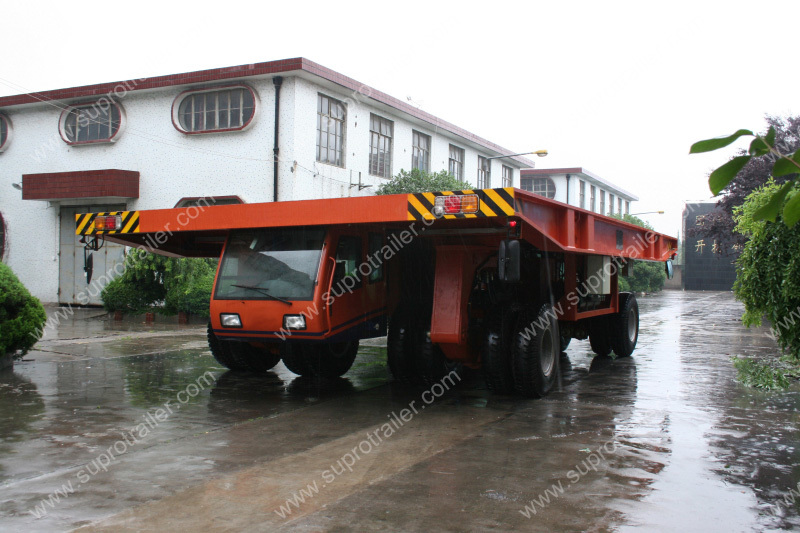 Supro Trailer supply high standard shipyard transporter to overseas market. 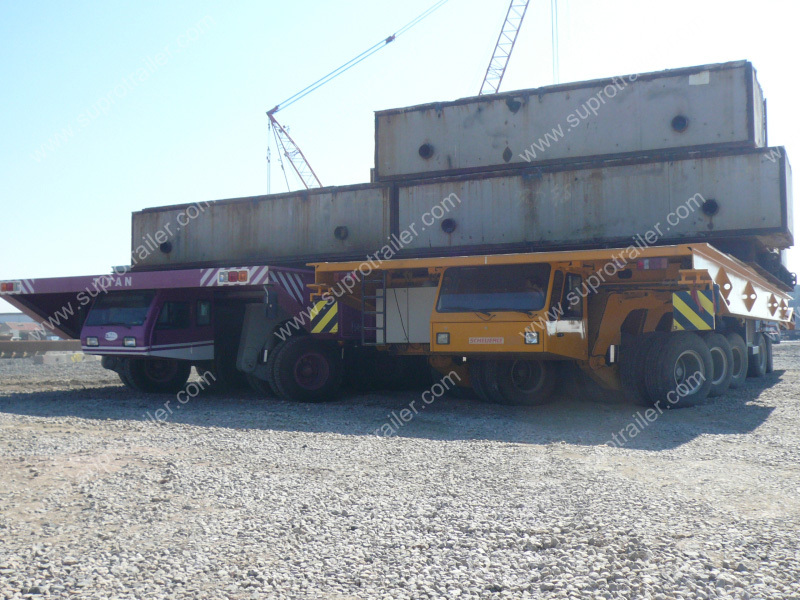 Supro shipyard transporter could work in -30℃ temperature in Russian! 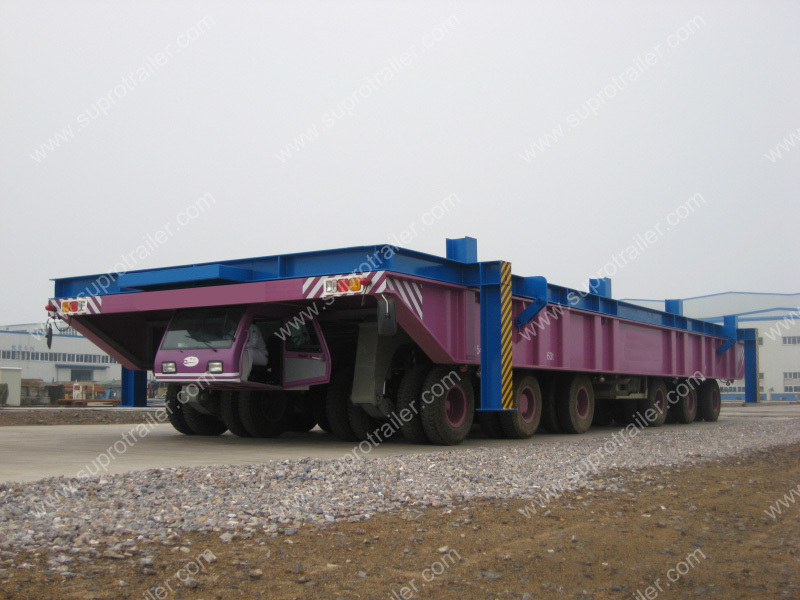 Supro shipyard transporter use hydraulic suspension which same as "Self propelled modular tailer". The vehicle has brake suspension, and drive suspension. 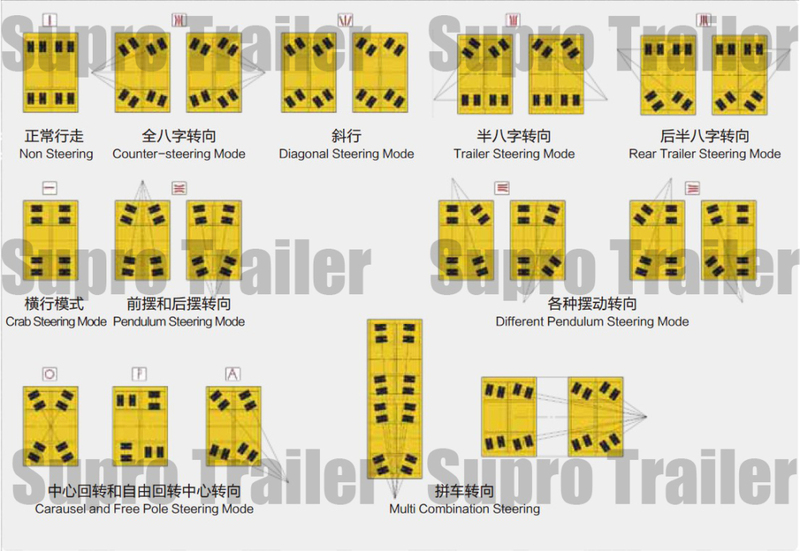 The hydraulic suspension of Supro Shipyard transporter has two lifting ability. 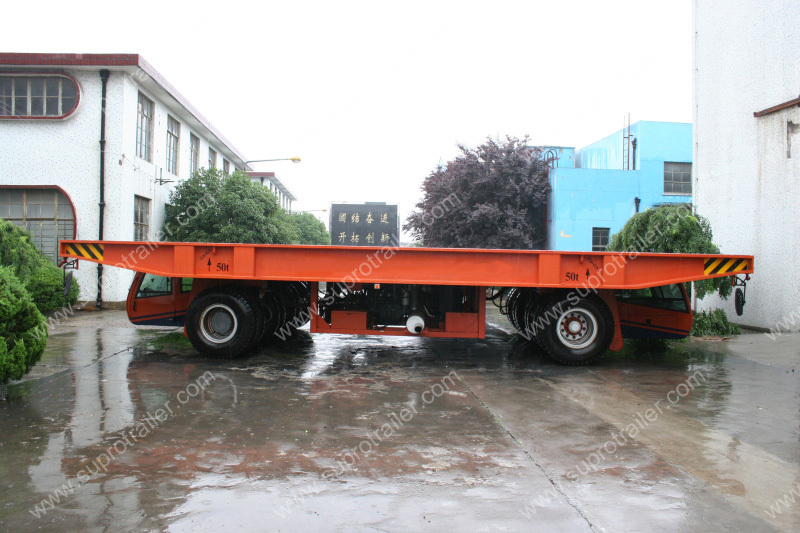 One is 16 tons bogie, and another one is 32 tons bogie. 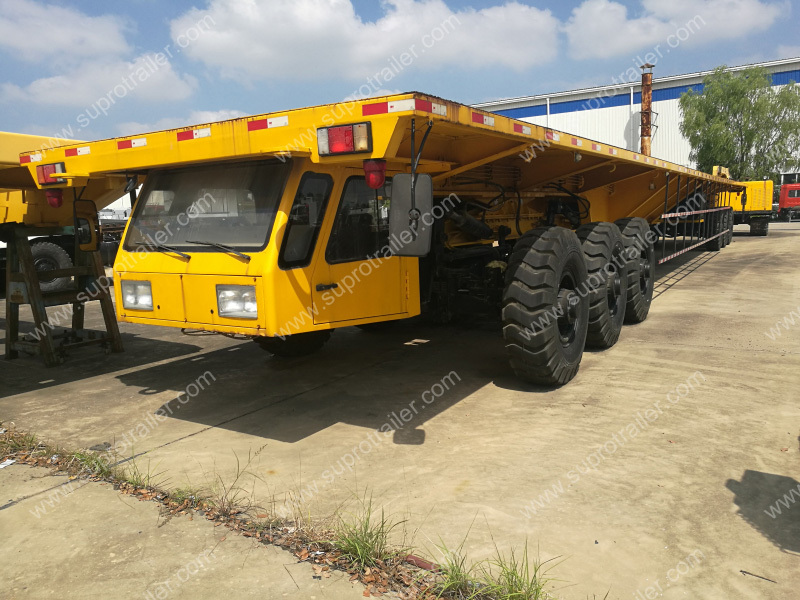 Supro Trailer has some second hand shipyard transporter going to sale. 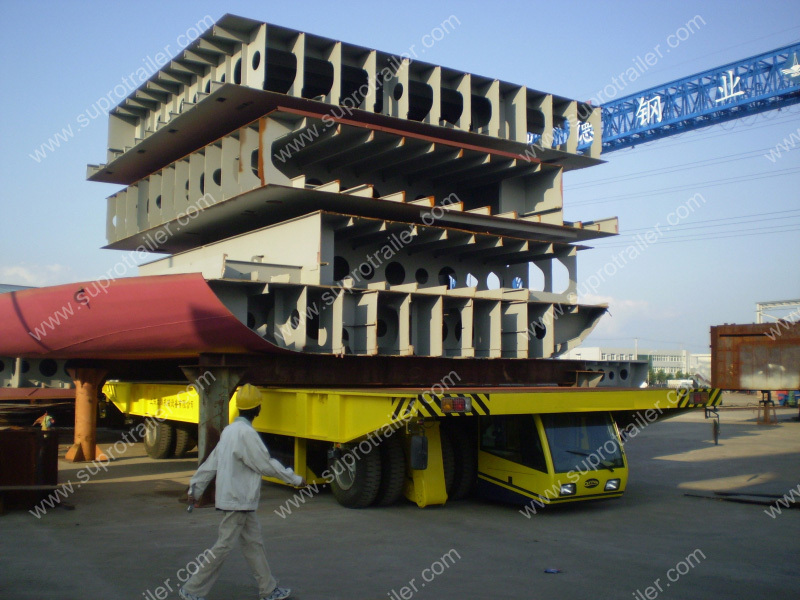 The working condition of the shipyard transporters are good. 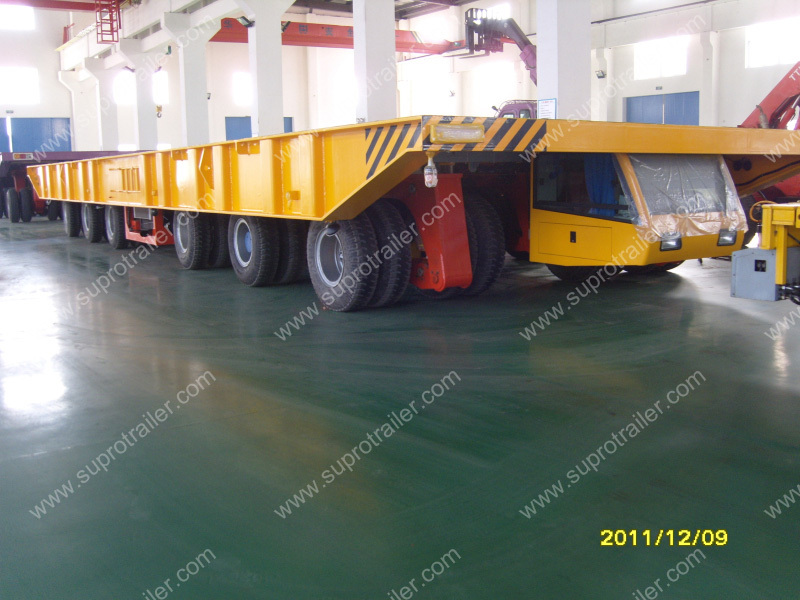 And also, Supro trailer has overseas brand second hand shipyard transport going to sale. Please ask the price from us.